January 26, 2012, OTTAWA—The Canadian Paediatric Society (CPS) is urging parents, coaches, and healthcare providers to be more aware of the signs and symptoms of concussion among children and youth. Athletes who sustain a head injury should be removed from the activity immediately, and seen by a physician as soon as possible. Concussions are too common in youth sports. They can be caused by a direct blow to the head, neck, or face, or by a blow somewhere else on the body that sends force to the head. 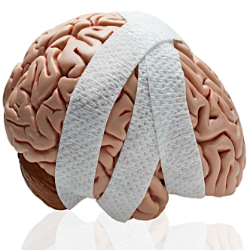 Most concussions do not cause loss of consciousness. Recovery can take longer in children and adolescents than in adults, in some cases lasting months. rest until all symptoms are gone. not play sports, exercise or participate in any recreational activities. limit activities like reading, texting, watching television, computer work and electronic games. be cleared by a physician before returning to school or sports. To access the full position statement, visit: Evaluation and management of children and adolescents with sports-related concussion.